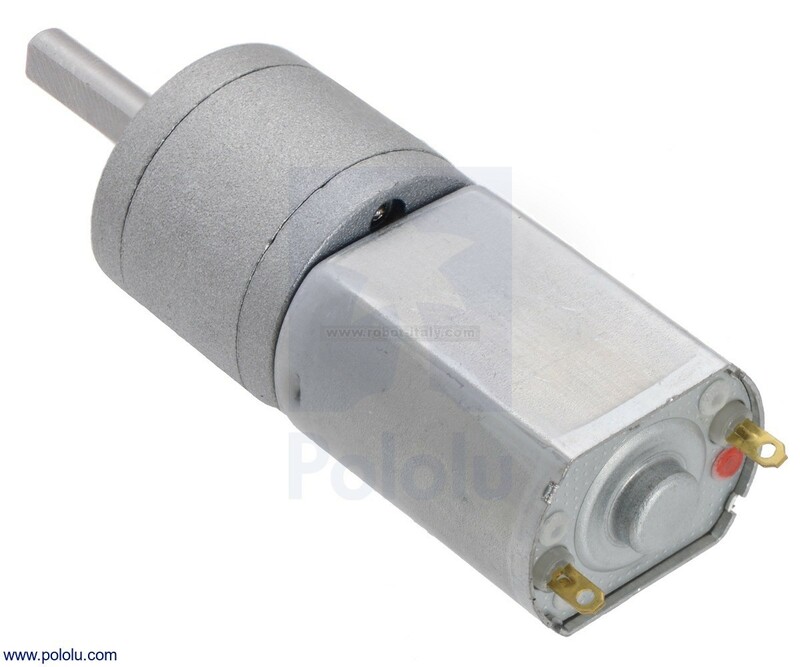 These small brushed DC gearmotors can deliver a lot of power for their size. 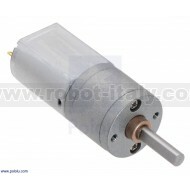 This version has a 6V brushed DC motor combined with a 62.5:1 metal spur gearbox. 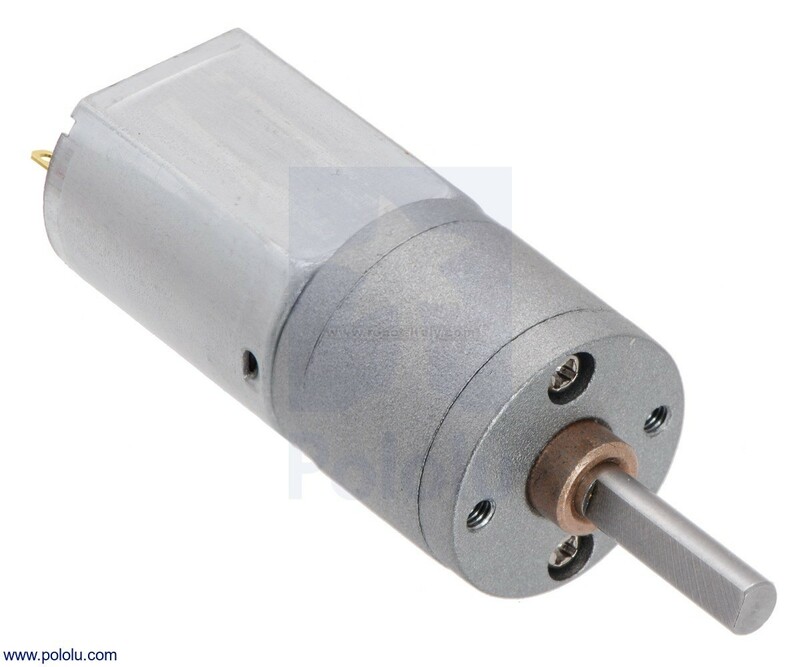 The gearmotor is cylindrical with a diameter of 20 mm, and the D-shaped output shaft is 4 mm in diameter and extends 18 mm from the face plate of the gearbox. 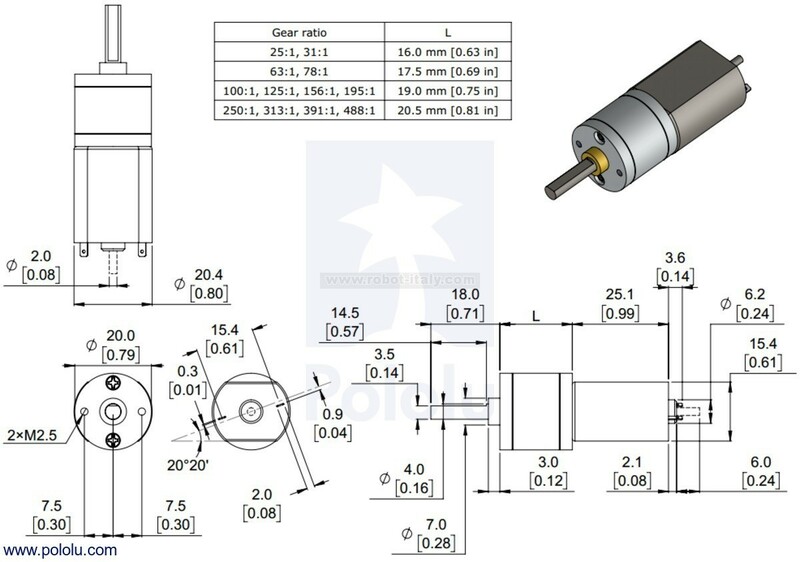 The gearmotors all have 20 mm-diameter gearboxes and 4 mm-diameter gearbox output shafts, so it is generally easy to swap one version for another if your design requirements change (though the length of the gearbox tends to increase with the gear ratio). 1 Stalling is likely to damage the gearmotor. Stall parameters come from a theoretical extrapolation of performance at loads far from stall. As the motor heats up, as happens as it approaches an actual stall, the stall torque and current decrease.